A railroad is responsible for crossing injuries or fatalities occurring at extra hazardous crossings. A crossing is considered extra hazardous where unusual circumstances or conditions exist that make it peculiarly dangerous such that prudent people cannot safely cross without taking extraordinary measures. Washington courts have held that a railroad crossing is a proclamation of danger, and that those who propose to enter its zone must govern themselves accordingly. This responsibility of the traveler approaching a railroad crossing is to look and listen, and to do so at a point or from a position where it would be effective. It is also important to note in grade crossing collision cases, governmental entities are held to the same negligence standards as private individuals. Liability for negligence does not require a direct statutory violation, though a statute, regulation, or other positive enactment may help define the scope of a duty or the standard of care. As in most personal injury cases, railroad crossing accident gases generally require the claimant to prove that the railroad (or other responsible entity) had a duty, and duty was breached. For example, a local or state government has a duty to provide reasonably safe roads for the people of this state to drive upon. This includes the duty to safeguard against an inherently dangerous or misleading condition. 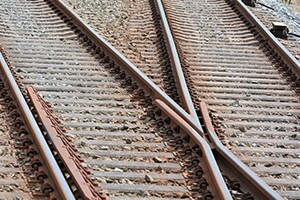 Railroad crossing accident cases involve many of the same issues as injury claims arising from dangerous road design or other dangerous road conditions. For instance, railroad crossing injury claims generally require evidence from experts in the field including engineers and railroad design experts. These experts are able to provide opinions as to whether the railroad crossing at issue complies with industry standards. Accident investigations usually involve visiting the scene, taking photographs, video, and measurements. The personal injury attorneys at Kraft Davies, PLLC, have many years experience successfully bringing claims on behalf of those injured or kill ed in railroad crossing accidents. We handle claims involving railroad collisions with both vehicles and pedestrians attempting to cross the track. As the consequen ces of such collisions are often devastating, and sometimes fatal, it is essentia l that victims or their families contact an experienced personal injury or wrongful death attorney t o investigate the facts of the incident. If you have questions about whether you are entit led to personal injury or wrongful death compensation following an injury at a railr oad crossing, contact our law firm for a free claim evaluation.